On July 19, Xiaomi officially released the ‘Maximum Large-capacity’ Max series new generation smartphone in face of the Xiaomi Mi Max 3. It is equipped with a 6.9-inch large full-screen, a 5500mAh large battery, a 12MP + 5MP AI dual-camera, a Snapdragon 636 processor, and more. The Mi Max 3 has three colors: ochre black, fantasy gold, and deep sea blue. The price of the 4+64GB variant is 1699 yuan ($251), while the 6+128GB model costs 1999 yuan ($295). On the front, the phone carries a 6.9-inch 18:9 full-screen with a resolution of 2160 x 1080 and a screen ratio of 85.19%. While it comes with almost the same body size, due to the full-screen technology adoption, it sports a larger display. On the opposite side, it uses an all-metal one-piece body with a hidden nano-injection antenna that makes the phone more rugged and reliable. It also continues the thin waist design. So though it comes with a large screen, single-hand operations won’t be inconvenient for most users. The second biggest selling point of the Xiaomi Mi Max 3 is the built-in 5500mAh battery, which makes it the largest-battery Mi phone on the market. The larger screen requires a larger battery. So with the help of this battery, the phone won’t suffer from short battery life issues. But a larger battery also requires a longer time to charge. To solve this problem, the manufacturer brought a fast charging option that supports 9V2A QC 3.0 and a built-in dual parallel charging technology. So the charging efficiency is improved a lot and the heat dissipation is more uniform. In addition, the reverse charging function was upgraded to 5V/1.2A, which has twice the reverse charging performance of the previous generation and can be used for other electronic devices to provide fast charging. According to the official information, the Mi Max3 can charge up to 71% within 1 hour. Plus, it can last 17 hours of local video playback, 10 hours of continuous play games, or it can be used for two days in a standby mode. 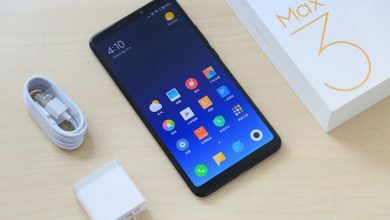 At the MIUI system level, the Xiaomi Mi Max 3 also added smart sleep optimization function. The phone will establish a user model based on the usage habit through AI. Then, it will predict the user’s sleep state, deep clean up the system background process, limit unnecessary network connection, etc. This will maximize power savings during user sleep. Many have been waiting for a Snapdragon 710, but the Xiaomi Mi Max 3 is packed with a Snapdragon 636, which uses a 14nm process node and an octa-core design with four Kryo 260 cores. At the same time, Xiaomi provides special optimization for many popular mobile games. It will intelligently identify the game team battle scene, scheduling system resources to maximize hardware performance, allowing the Xiaomi Mi Max 3 to run high-load games smoothly. In order to ensure the large-screen game experience of the Xiaomi Mi Max 3, MIUI system has also added a series of optimization upgrades: automatically open the game toolbox when entering the game, prevent accidental touch of the keys, avoid misuse of the operation, automatic hands-free call during the game, one-button shielding push notification, etc. The Xiaomi Mi Max 3 features a flagship rear AI dual-camera with a main camera of 12MP. 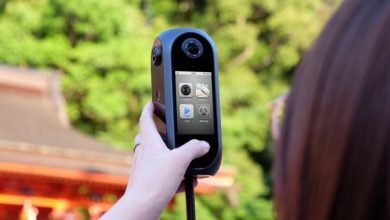 The single pixel size of the latter is up to 1.4-micron, while it also provides a larger unit of light sensitivity, brighter night shots, less noise and more details. In addition, the phone is equipped with a flagship closed-loop motor and Dual PD full-pixel dual-core focusing technology, which can achieve extreme speed focusing in a dark environment. Xiaomi Max 3 is also equipped with the well-received AI scene camera function seen on the Xiaomi Mi 8, which can intelligently identify 206 kinds of photo scenes and 25 kinds of labels, and optimize the adjustment in real time without rear retouching. Whether it is filming or shooting, the picture has layers, and the main body has details. The front 8MP camera supports single-camera background blur, and the soft light can be automatically turned on in a dark environment. The self-timer effect is clear and bright but exposed. In addition, the Xiaomi Mi Max 3 supports AI face unlock. The Xiaomi Max 3 will be officially launched at 10 AM on July 20.